St Mary's Gardens is a small open space in Old Church Road, Whitchurch, in Cardiff. 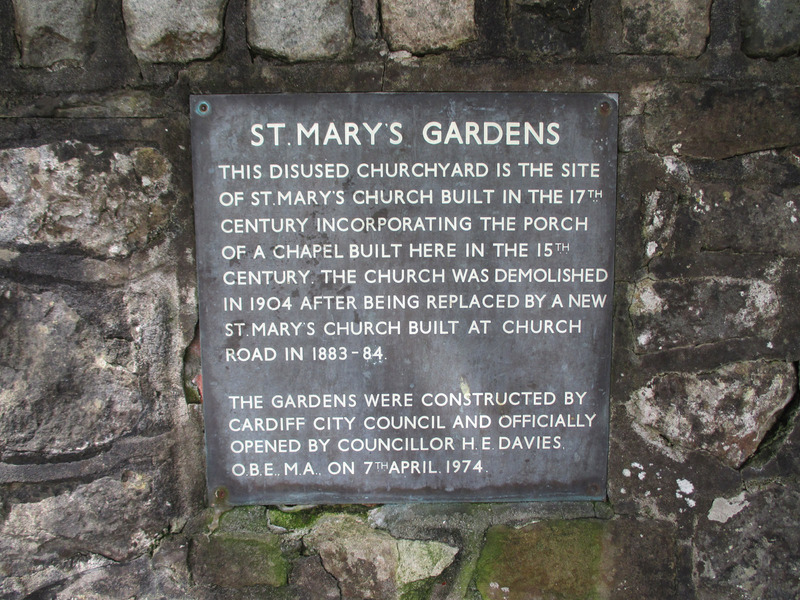 It was created on the site of the original St Mary's Church, which was demolished in 1904. It was vacated after a new St Mary's Church was built at Church Road in 1883-84. The abandoned churchyard was converted to a public garden and opened in 1974. The remains of the ruined church walls still exist, as do many of the memorial stones. The earliest memorial stone dates from 1695 (James William), and another is from 1700 (William Lewis).